“My husband I were in town celebrating our 17th anniversary. We scheduled a “Couples Massage” at VIVO Hair Salon & Day Spa. I’ve had massages before, but my hubby never had one. He was a bit apprehensive and kinda complained about it. We arrived a few minutes early incase we had some paperwork to fill out. Turns out, we did. My first impression of VIVO was that it was probably one of the cleanest salons I’ve ever been to. Ok time for our massage. We went into the room that was nicely decorated & the tables were very comfortable. We undressed and waited. My Massage person was male & my husbands was female. The music playing was very soothing. First we had a swedish massage & deep tissue, then we had hot stone therapy. Both of us were in “Awe” of how well of a job they did & how relaxed we were. After a long day of walking around Harpers Ferry, this is just what we needed. When we were done, we dressed and walked out to the reception area to find out that the owner, offered for us to sit upstairs in a private area with an electric fireplace and drink a bottle of wine to celebrate our anniversary. They even brought up a plate of crackers and olives. We were more than pleased and will definitely go back next time we are in town. The Staff & Owner at VIVO were absolutely Hands Down – WONDERFUL! Best massage I’ve ever had. Do yourself a favor and go here! click here to read more VIVO Testimonials. Thank you for your loyalty! 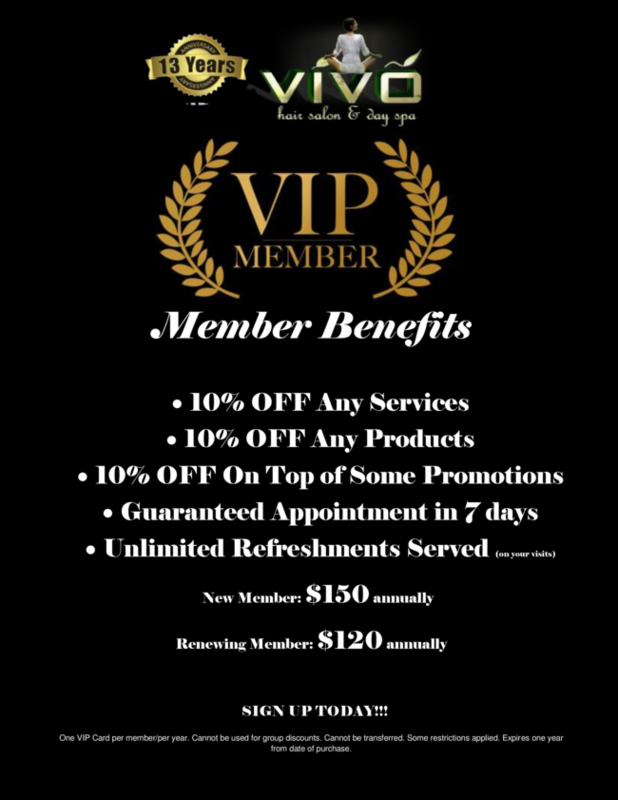 Become a VIVO VIP GOLD MEMBER.